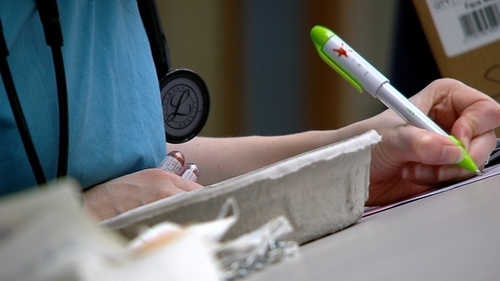 The Irish Nurses and Midwives Organisation has accused the Government of exaggerating the cost of granting its 12% across-the-board pay claim. The INMO said the Government is seeking to portray the real cost of safe care as unattainable. The union was responding to last night's statement by Minister for Finance, Public Expenditure and Reform, Paschal Donohoe, who ruled out granting its €300 million a year claim for a 12% across the board pay rise. The INMO is balloting its 40,000 members for strike action, with the Psychiatric Nurses Association holding a similar ballot of its 5,000 members. In a statement issued this afternoon, the INMO accused Mr Donohoe of "communicating over the airwaves" - and said the current dispute over pay and staff shortages could be resolved within the framework of the Public Service Stability Agreement - a view rejected by Mr. Donohoe last night. The union said it would not be found wanting in respect of proposing cost-saving measures if engagement took place under the Public Service Stability Agreement (PSSA). Highlighting the impact of the recruitment and retention difficulties in the health service, particularly in a competitive global market, the union noted that there are 103 fewer staff nurses employed today than in December 2017. It said that since 2007 the number of nurses and midwives has fallen by 1,650 while demand for hospital and community care services has grown significantly. It noted that the health service has been unable to recruit midwifery staff to match the recommended safe level of staff midwives to births ratio. It also criticised the dependence on agency personnel, recruitment of whom can prove up to 20% more expensive than a directly employed nurse. It also highlighted the fact that private hospitals are now offering incentives to attract recruits into the private system. INMO General Secretary Phil Ní Sheaghdha said members were being forced into taking industrial action because real, substantive engagement had not taken place with either the Health Service Executive, the Department of Health or the Department of Public Expenditure and Reform. She cited research by the International Council of Nurses which concluded that pay was a significant factor influencing recruitment and retention, and that short-term decision making in relation to pay appeared to be self-defeating. She said the union remained available for realistic engagement. Both the INMO and the PNA overwhelmingly rejected Public Service Pay Commission proposals aimed at addressing staff shortages, which included a €20m package of allowances targeted at the areas experiencing the worst recruitment and retention difficulties.